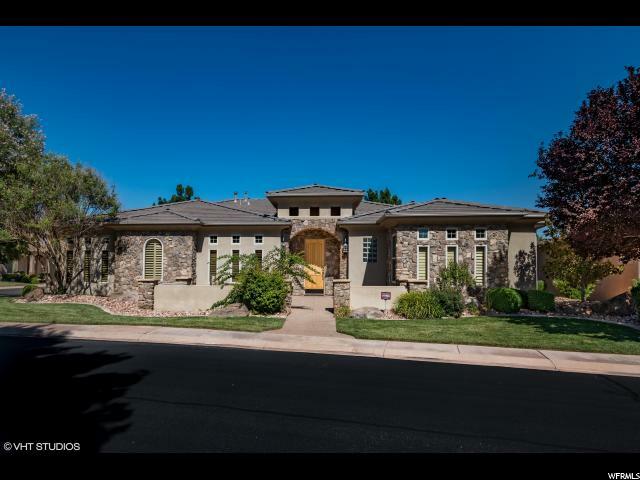 All MONTEREY AT STONEBRI homes currently listed for sale in St. George as of 04/19/2019 are shown below. You can change the search criteria at any time by pressing the 'Change Search' button below. "Beautiful, well maintained 3 bedroom, 2.5 bath (steam shower in master bath), granite counters and kitchen backsplash, office with built-in cabinets, stained concrete floors, 3 car garage. Over-sized master bedroom, stone arch entry-way, all appliances stay, water softener, large covered patio, fully landscaped. Located near Sunbrook Golf Course. CC&R's are in Documents. Buyer to verify all information. Pre-qualifying letter to accompany the REPC."